OOH revenue is at an “all time high,” says Geopath’s Kym Frank. And geo-data powered digital ads are a big reason for the current renaissance. Geopath’s historical role was to audit the circulation of OOH media in the United States. Geopath looks to the future with state-of-the-art audience location measurement, deep consumer insight, and innovative market research. In an interview, Frank offered her sense of outdoor’s digital transformation is winning over advertisers and marketers need to know. GeoMarketing: What Is Geopath and what is its mission? Kym Frank: Geopath is the industry standard currency, powering a smarter Out of Home advertising industry (OOH). We are a not-for-profit organization that has provided auditing and measurement for OOH for more than 80 years. Many people — even those within the industry — are often surprised when they hear how long we have been around. Currently, we measure more than 1MM advertising spaces across the United States. Our members span the entire media landscape from general and specialized advertising agencies, to media companies and large brands like Coca-Cola. Being a not-for-profit allows us to focus on the needs of our members without having the pressure of quarterly profit goals. It also allows the entire industry to share the costs of a highly accountable measurement system, to help set our priorities, and to have input into the way that our organization is governed. Ultimately, we see ourselves as an extension of our members’ teams and want to do what is best for them — and the industry overall. We are here to support them through our research, measurement, and thought leadership. This what drove our rebrand in September of last year. The new name is not only a reflection of what is happening within the industry and the dynamic organization that we truly are. It also reflects a strategic shift in our focus from strictly measuring audience impressions to one based on analyzing audience location. This new focus will allow us to provide better analytics, deeper consumer insights and a better understanding of OOH ad effectiveness. How has Geopath’s focus changed since rebranding from Traffic Audit Bureau for Media Measurement Inc.? Overall, our mission has remained the same, but there has still been a tremendous amount of change at Geopath since the rebrand. Last year, the Geopath membership decided to make an investment in our industry’s currency, enriching the system with data from mobile devices, connected cars, and GPS platforms. This investment was to ensure that our organization can provide state-of-the-art and responsible metrics that today’s advertisers are demanding from publishers across all channels. As part of this change to the industry currency, we changed our tagline from “Out of home ratings” to “Audience Location Measurement.” The new focus of the organization’s measurement system is on measuring people, not inventory. Our solution, slated to launch in early 2018, will provide Geopath members with a 360-degree view of aggregated anonymous audience movement. OOH advertisers will now be able to more precisely understand who they are reaching every hour of the day, every day of the week. This gives advertisers and their agency partners the ability to better optimize their planning and assess campaign performance. Ultimately, empowering them to deliver the most impactful messages, at the right time, in the best location to their specific target audience. This level of granular insights will position outdoor advertising to be one of the most well-measured and reactive channels for marketers. What’s the state of Digital Out of Home in 2017? 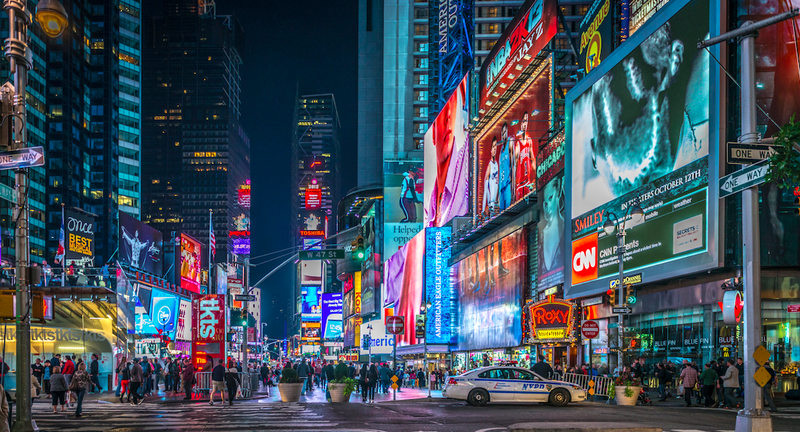 The entire OOH industry is currently in a renaissance. According to the Outdoor Advertising Association of America (OAAA), industry revenue hit an all-time high of $7.6 billion last year and has grown in every one of the last 28 quarters. In fact, every segment of the business has increased. Digital Out of Home (DOOH) has been a key part of this. For one, the dynamic nature of DOOH enables advertisers to change creative as a result of triggers such as weather, search queries, or even the presence of mobile devices. Sensors can even be embedded in displays that can recognize automobile models and respond with custom messaging. Another big trend we are seeing with DOOH, is the streaming of live content, like sports scores and social media feeds. This is highly impactful and helps brands build a dialogue with their audience in real-time — and in real-life. Is there any sense of whether all outdoor advertising is digital in some form (even static print billboards often mention a website)? OOH advertising, even in printed form, is becoming more and more digital. The process of identifying which locations to purchase, buying the inventory, ordering the creative and having it mounted was a very manual process in the past, but all of that is becoming automated today. The decision of which inventory to advertise on is often fueled by big data and optimized utilizing advanced software systems. Even printed inventory can be bought through automated systems. The entire process of getting the advertisement in front of a consumer – even if it is on vinyl – can be digitized. A quarter of the top 100 advertisers last year were tech companies like Google and Apple – and in many cases, they choose to place their ads on printed inventory. In fact, there is a significant amount of synergy when OOH is paired with digital and mobile advertising. A recent study conducted by the OAAA and MBI USA Touchpoints, revealed that pairing OOH advertising with digital media can increase reach by more than 300 percent. Marketers can geofence any type of inventory, printed or digital, to amplify their OOH messaging with mobile retargeting. And to your point, messaging on printed boards can also drive consumers to a digital call-to-action. How does geo-data and the use of location analytics factor into Geopath’s measurement capabilities and offerings? Quality geolocation data are at the core of how Geopath measures audience. Geopath’s approach to audience measurement requires an understanding of the entire population, not just individuals with smartphone or connected devices. We require scale, to measure across the country, but also precision, to understand local movements on every single roadway. To achieve such ambitious capabilities, we utilize diverse sources of geo-data and powerful analytics to contextualize all data sources against one another. This approach ensures that we provide a useful planning product to our members and an accurate historical resource for post-campaign analysis.